"Wow! What a perfect holiday and to think I was worried about coming on holiday on my own! Thank you, thank you for holding my hand in this marvellous, special and fantabulous place and allowing me to be me and deal with process and let go of lots of stuff. You're all fab and even as I leave I can't wait to return." "Just wanted to say a big thank you for a great time at your home. I've learned a bit about meditation now, and a surprising discovery about myself, way deeper than any therapists have told me about me. A very rewarding trip and I hope you continue for the next 50 years to help others like you've helped me!!" In addition to a peaceful holiday in stunning scenery Mairela Retreat also offers the opportunity for spiritual retreat in the form of holistic healing holidays. Price: £450 per person which includes accommodation, full board, use of sauna and all sessions. The retreat workshop is available to anyone with basic English language skills. A unique opportunity to experience walking across the lake, dipping into an ice hole, rolling naked in the snow, the possibility of extreme temperatures, maybe even some Northern Lights and dark star studded skies. .If you are looking to discover Who You Really Are then a trip into unknown experiences often provides a springboard into your inner self. A winter experience in Finland really is something different! The powerful awakening spring energy of New Beginnings makes a wonderful opportunity to rediscover yourself anew and ride along on the natural creative wave of the season. Enjoy the full benefit of the lake and sauna! Feel what it's like to live in full light and take advantage of the intense summer energy of blossoming. Feel yourself unfurling and discover your unique inner beauty. Tapping directly into the autumnal energy of letting go, as we release old parts of our self which no longer serve our purpose. 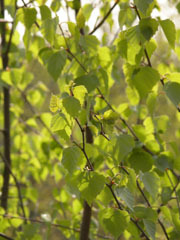 Letting them fall away like leaves from the tree to provide fertilizer for the new growth to come the following Spring. 10% early bird discount if you book a place more than 3 months in advance! Save £50! Put together your own group of 3 or more for a self healing workshop week and receive a 15% discount for the whole group.